Two years ago, Fraternity in Iraq launched an economic recovery program aiming at the Nineveh plain artisans. 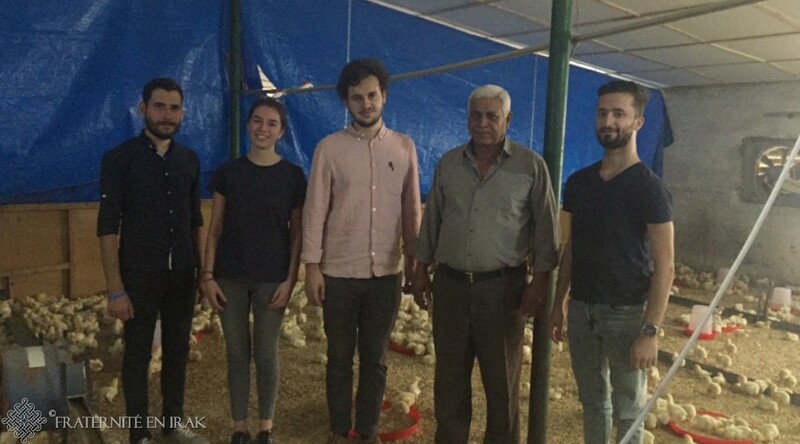 The purpose of the project was to allow them to relaunch their business after ISIS ran away from the area, and thus not only to stay in their beloved country but also to take part into its reconstruction. Thanks to your donations and to our volunteers, we reached a symbolic milestone in 2018. Indeed, 251 jobs were created all in all. 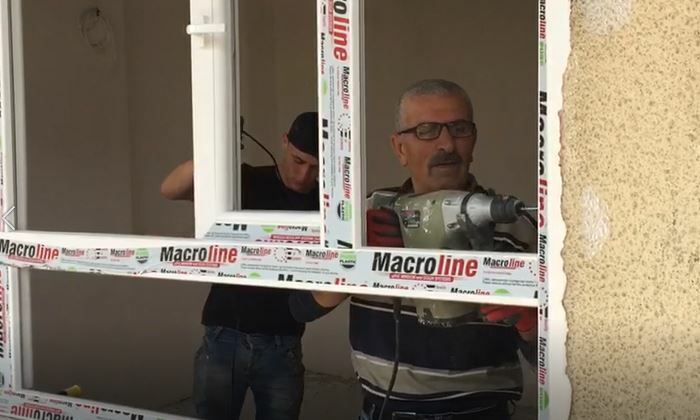 We invested 720.000 euros and boosted 71 businesses – 29 for the mere first year – in Qaraqosh (the biggest Iraqi Christian city), Bartella, Bashiqa… At first, the program focused on the building jobs, it then broadened out to the shops and to agriculture so as to relaunch all sectors of local economy. This includes many jobs such as: farmers, small traders, hairdressers, bakers, marble craftsmen. Behind the numbers, there are human beings and faces. For instance, Adnan is a joiner, Saïf makes perpends. Sabah and Khalid breed chickens. Nadjah is a baker. Salam has a restaurant. Nasseer is a blacksmith, Aïd washes cars. Youssef sells ice creams. Rokan is a printer. Wassem is a tapestry-maker who builds and renovates furniture. Ghaith opened a supermarket. The list is long and it lengthens even more with the many sheep or calf farmers, the inhabitants of the kakaï villages at the East of the plain, who reconstituted their flock thanks our loan system. 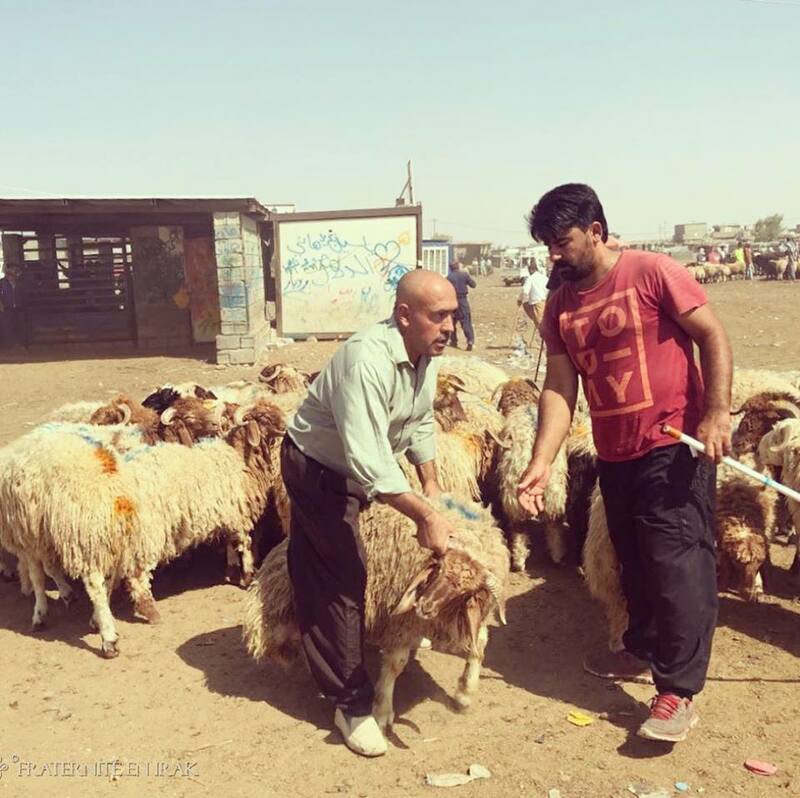 During the occupation of their respective cities and villages, ISIS men either ruined or stole their flocks and herds as well as the shops, the “ateliers”, the work tools of the artisans. The economic recovery program: how does it work? In March 2017, Fraternity in Iraq sent a project officer out there and charged him/missioned him with the/to selection craftsmen and small “entrepreneurs” made for/”eligible” for the program and with the supervision/to supervise the different steps of the recovery. Fraternity in Iraq helps each artisan to buy or to renovate his production tool (restoring the premises, buying machineries and tools…). About 80% of the necessary amount is a zero lending rate that the selected entrepreneurs committed to paying back. The 20% left are a donation. 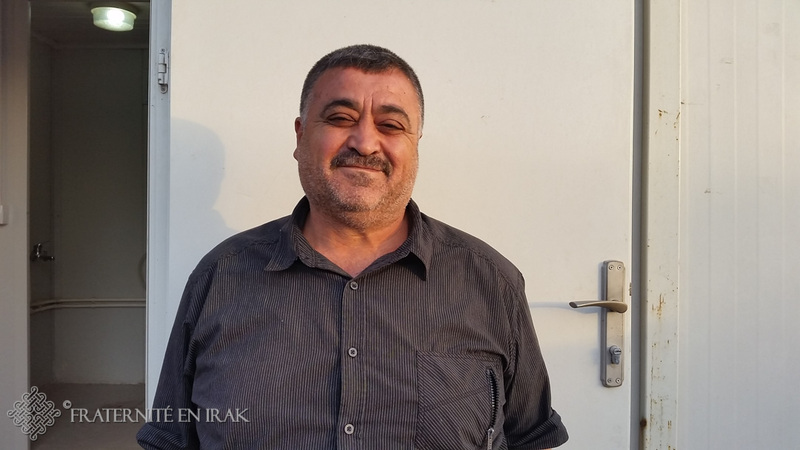 Because they settled in Iraq for a year, they integrated to daily life and got into relationships with the inhabitants, the association project officers have a good knowledge of the field and are able to make the good decisions, always joining forces with local actors of the recovery, that is mainly the churches and religious chiefs. Although Fraternity in Iraq guides this program, the United Nations strongly support it and the French Ministry of Defence subsidizes it. The economic recovery program, what for? First to support Iraq and its inhabitants in the long run and not for short-term emergencies only. According to the World Bank, 25% of the active population is unemployed or underemployed. 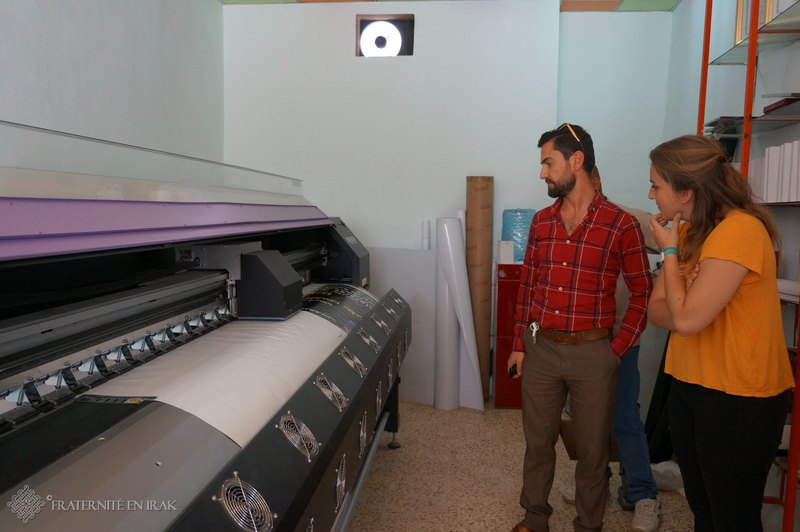 Since the liberation of the Nineveh plain at the end of 2016, to prime again the micro-economy contributes to stabilise a devastated area whose reconstruction will be long. However, it is a virtuous circle: reviving the economy snowballs and encourages some families to come and settle back in their cities that they had left in 2014 because of ISIS conquest and occupation. Read : Economic revival in the Nineveh Plains: the virtuous circle is underway! The heads of the households recovered a job and a salary, what enables them to meet their families’ needs, after years of exile and anguish. On a larger scale, the religious minorities that Fraternity in Iraq supports have been part of the Iraqi identity for ages. To help them to stay is to maintain Iraq’s diversity. How can you support the economic revival program? 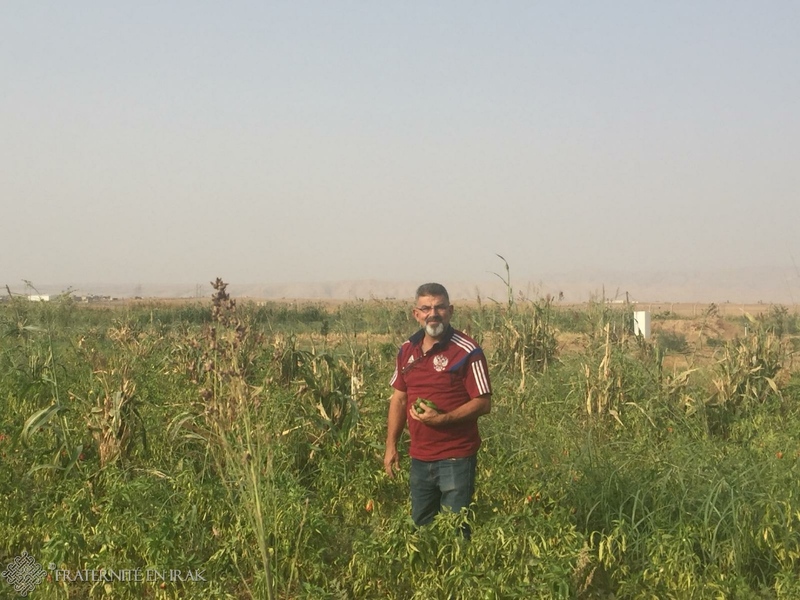 In 2017, 47% of the donations given to Fraternity in Iraq financed the economic recovery program in Nineveh plain. You can ask for your donation to be specifically allocated for this project if you precise it at the time you donate. 251 jobs were created. Thanks a lot to all our donors and contributors. We still need your support to widen this revival program! ← Les travaux à Mar Behnam bientôt terminés !